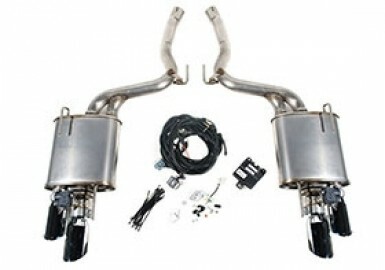 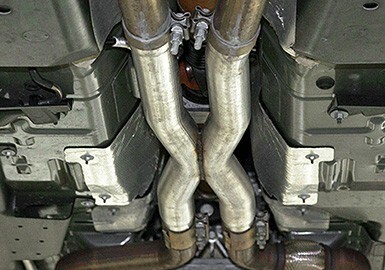 Compatible with Ford and ROUSH Active Exhaust Systems. 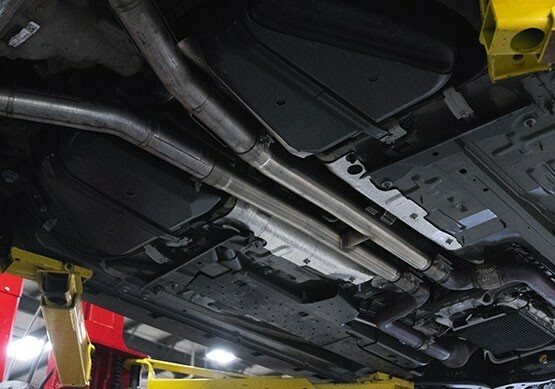 ROUSH Performance's Resonator Delete H-Pipe is an affordable way to eliminate the factory resonator to get deep, aggressive and race-inspired sound. 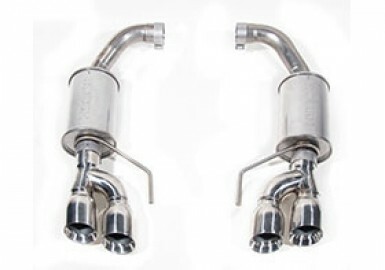 The H-Pipe increases flow through any 2015-2019 Mustang GT exhaust system for maximum horsepower and torque. 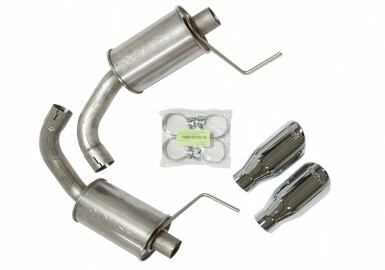 Replacing your factory resonator with the ROUSH Resonator Delete H-Pipe won't trigger any check engine lights. 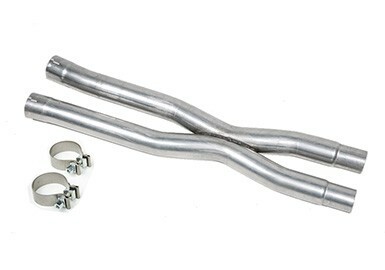 The Resonator Delete H-Pipe is a quick and easy way to give your Mustang that deep aggressive exhaust tone and performance that can be used on the road or track. 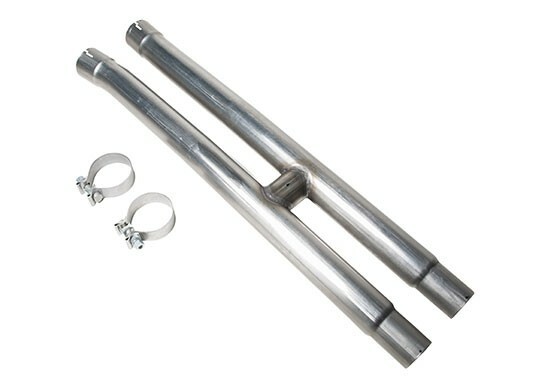 The 2.5-inch H-Pipe assembly is made from high-grade mandrel-bent stainless steel to ensure maximum flow with less back pressure and long-lasting durability. 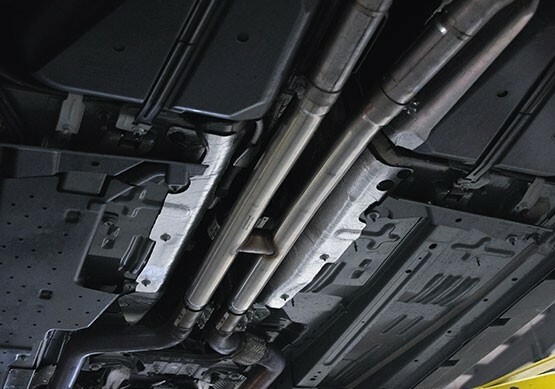 The system is designed and engineered using OEM vehicle CAD data to ensure a perfect fit.